and Europe (is changing)WILL BURN. 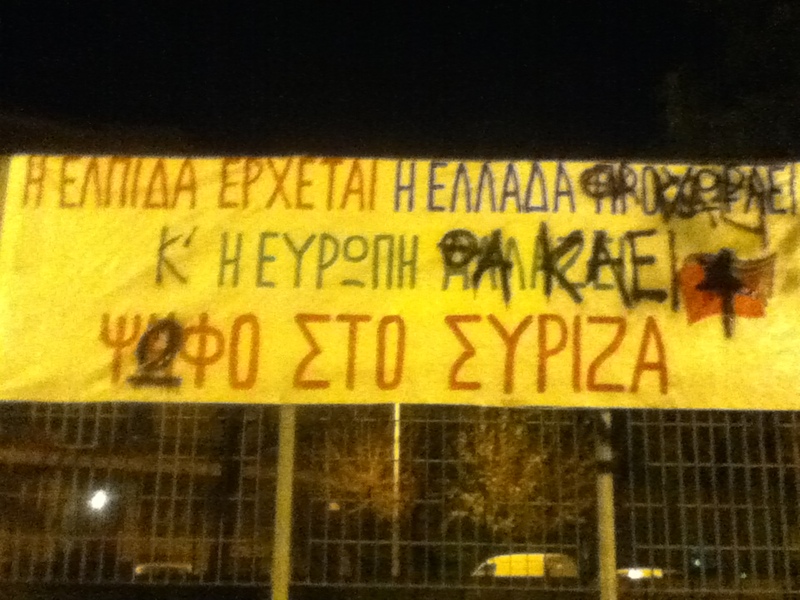 At least 7 election banners of political parties were taken down or spray-painted. 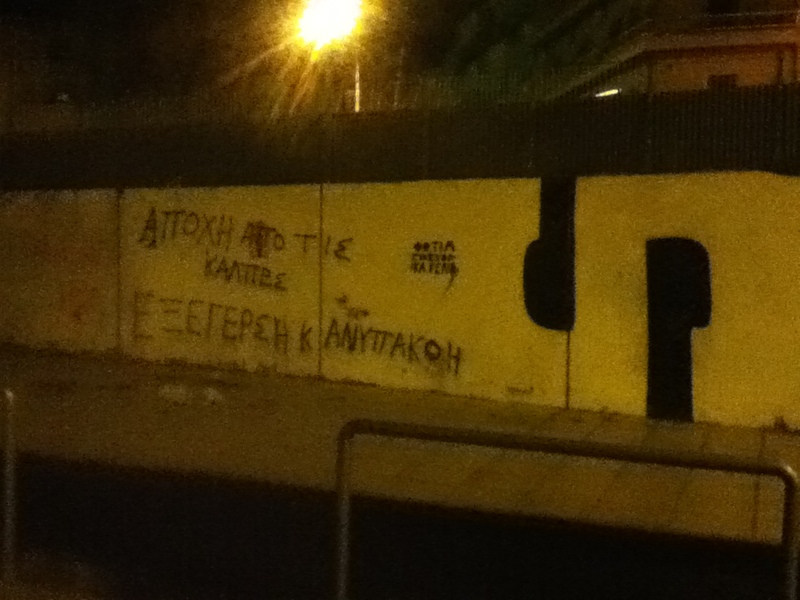 Slogans were painted on walls of several streets, on the “little shop” of the Syriza party and a polling station. An anti-election banner was hung.